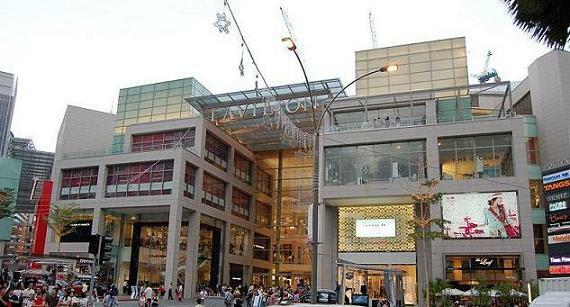 Pavilion KL is a new shopping experience that is matched only by New York's 5th Avenue, Tokyo's Ginza and Milan. It was officially opened at Jalan Bukit Bintang on Sept 20, 2007. This much awaited complex did not fail to awe its pedestrians who were forced to walk pass this massive construction for the past couple of years. The once old Bukit Bintang Girls Secondary School has given way to this magnificent development, a 7-storey building, which has 450 outlets housing shops, food and beverage outlets and urban leisure areas. It would be of no surprise if window shoppers are aplenty as the offerings here are not exactly cheap. The defining moment comes to many of us when we realize that we cannot afford to break anything here. Top designer brands like Aigner, Club Monaco, Coach, Ermenegildo Zegna, Hermes, Hugo Boss, Juicy Couture, Prada and Versace have housed their products in this building which is strategically located in the heart of Kuala Lumpur's bustling shopping district. The opening of Pavilion KL marks a defining moment in our city's retail elevation. With Bukit Bintang now complete, Malaysia can reinforce its attraction as a top Asia retail hub. Pavilion's opening coincided remarkably with Visit Malaysia Year 2007. Shoppers can enter at the street-level directly to the 3rd floor, and this is all part of the many unique offerings by the new iconic landmark of the Golden Triangle. This shopping mall's welcoming ambience with large airy premises framed with high ceilings and wide corridor pavements is complemented by an exciting tenant mix. It also has many leisure outlets such as GSC Cinemas, RedBox Plus and The Times Bookshop. 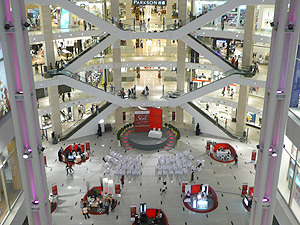 Each unique offering at this world-class shopping centre is a highly fulfilling and inspiring shopping and leisure experience. Pavilion KL is anchor piece of the world-class urban development comprising two luxury residential towers and a corporate office. The shopping was opened first.